Alas, I, like many home cooks, used my mandoline about a half-a-dozen times before shoving it in the back of a cupboard and forgetting about it. The truth is, most mandolines are unwieldy, difficult to clean, and hard to master. (Even with a finger guard, I sliced my thumb or pinky on my mandoline way more times than when I use my chef's knife.) These days, I favor anything that simplifies my time in the kitchen and doesn't leave blood on my countertops. I mean, take a look at this thing. Does that look simple to you? 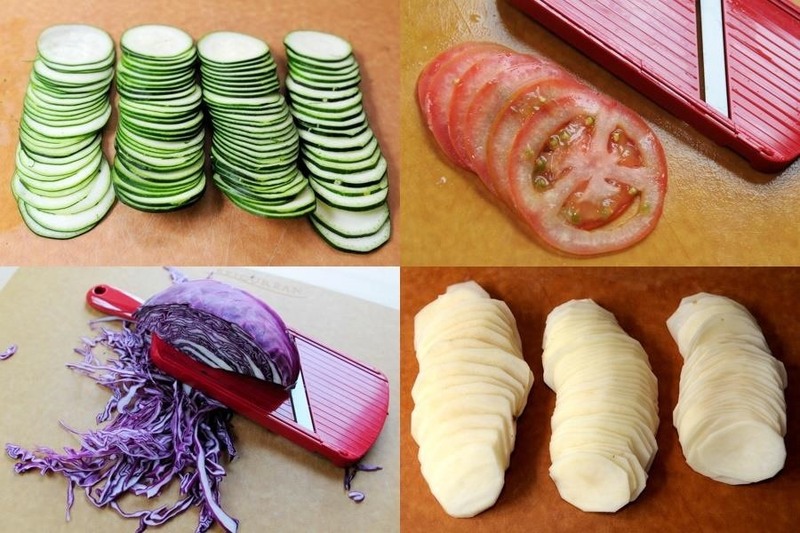 Truthfully, a mandoline does produce great results, but for the majority of home cooks, it's a waste of money and space. Nowadays there are good handheld slicers out there with mandoline-sharp blades. You may have fewer options—they don't julienne or do other types of cuts—but you'll find that they more than deliver when it comes to those wafer-thin slices you need for your potato gratin, cucumber salad, or apple tart. 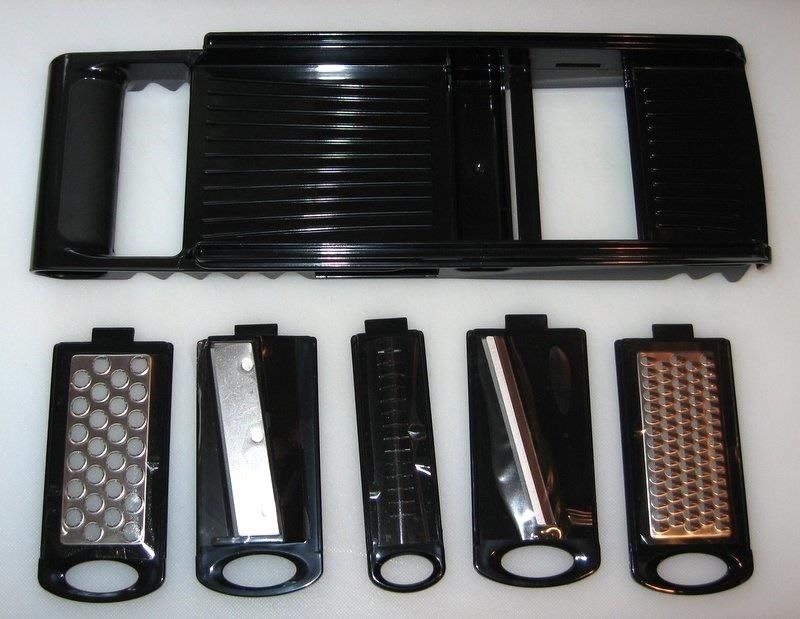 Better yet, handheld slicers are easy to clean and easy to use—and are far less likely to languish in your junk drawer. 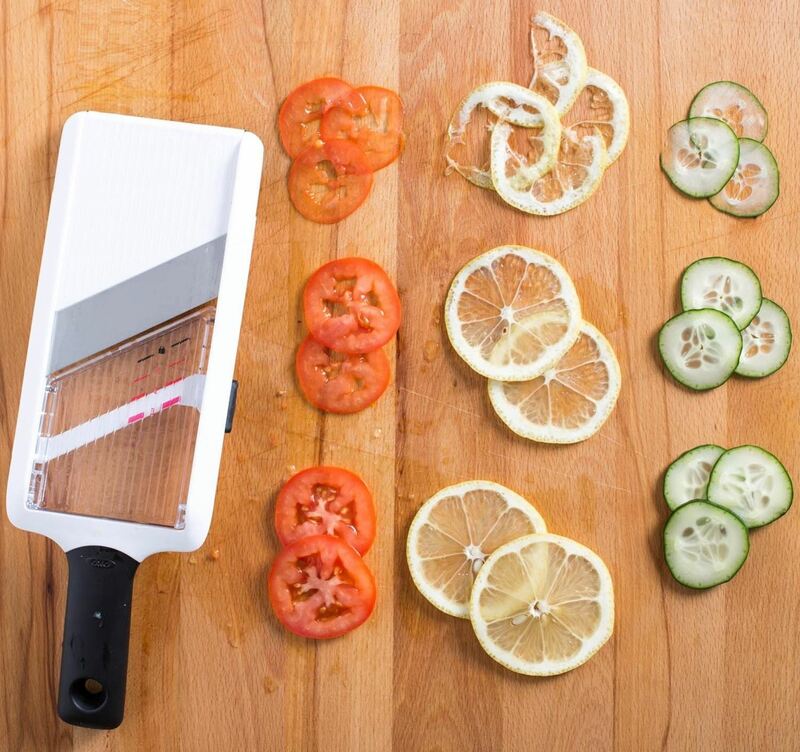 Serious Eats favors the OXO Good Grips Handheld Slicer, which allows you to slice produce in three varying thicknesses. It features a stainless steel blade, a hand guard, and a soft foot that hooks over the bowl so you can slice right into it. Cook's Illustrated highly recommends the handheld Kyocera Adjustable Slicer. The Kyocera has a ceramic blade, a hand guard, and will latch across the top of most bowls for easy slicing. It can cut in four thicknesses. Kitchen Audition agrees and praises the Kyocera for its ability to deliver uniform thickness with almost all produce. Fortunately, both models are reasonably priced at under $20 (as of this writing) on Amazon, so your foray into super-sharp slicing won't cost an arm and a leg. Right now I'm leaning towards the Kyocera—I have potatoes au gratin on the brain, and those transparent 0.5mm slices of potatoes aren't going to happen if I use my regular knife. Great kitchen gadgets make drinking and eating so much more fun. If you're a beer aficionado, you need a personal, portable beer keg that maintains fresh-from-the-tap carbonation. If you've got kids who want to help out in the kitchen, think about getting them a kid-safe mini knife set. Are you a lazy cook? Screw the slow cooker—a pressure cooker might actually be your best option.